The UK has long been a key shaper of EU foreign policy. 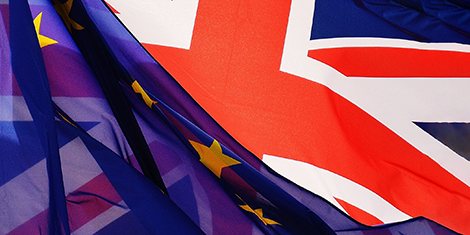 British thinking lay behind the EU’s enlargement policy, which aimed to reach out to former Warsaw Pact countries and transform their societies and norms through engagement and regulatory approximation. On tough foreign policy issues, the UK has led innovative work to convene like-minded member states and to win decisions to impose sanctions on Syria and Russia, using the EU’s strength-in-numbers to deliver a more impactful message than it could through applying its own bilateral sanctions. It has also used the EU to deliver tougher messages than it is willing to do bilaterally, as when the EU recently imposed sanctions on Myanmar. (This influence works both ways: the UK has also held back the ambition of EU common positions as a blocking minority, for example regarding Saudi Arabia on the Yemen conflict. This is an example of UK power amplification in the opposite direction, as a blocker). In terms of foreign assistance, the UK – as a top development donor – has shaped and led many initiatives that have been adopted across the EU from prioritising poverty eradication to the focus on global health and education initiatives such as the Global Fund, GAVI (providing cheaper vaccines to poorer countries) and the Global Partnership for Education. The UK played a critical role in supporting and shaping a generous EU response to the humanitarian crisis in Syria, and to the Ebola outbreak in West Africa. The UK also influenced the European Council’s vote in 2015 to re-affirm the EU’s commitment to sustain a development assistance target of 0.7%.1 DFID’s (UK’s Department for International Development) multilateral aid review in 2016 found European aid to be particularly impressive and closely aligned to UK aid priorities.2 It is not clear that another multilateral donor is as well aligned to UK priorities as the EU, therefore, the case for continuing funding and programmatic collaboration is high. The UK annually channels about £1.3 billion, equivalent to 8% of its total ODA (Official Development Assistance) budget of £12.1 billion via the EU institutions3, and also leverages the EU’s funding, networks and delegations. DFID often works in Joint Actions with the EU, notably in West Africa and on the flagship Joint Programming at scale, such as the Bangladesh Suchana programme on Ending Undernutrition. Together with its member states, the EU is the largest development donor and much of EU development and humanitarian policy thinking, as well as in-country operations, has been shaped by DFID’s policy approaches. With regard to the EU’s most substantial development funding pot, the European Development Fund4 both the EU and the UK benefit from the current situation with the UK currently contributing up to 15% towards the EU’s European Development Fund and in return uses its seat on the relevant technical committees to set the EU’s aid priorities through the fund. The challenge the EU post-Brexit will be to make less funding go further in transforming lives and supporting change, whilst the UK may face a new hurdle of seeking buy-in for its ideas in a more competitive and fractured normative market without direct influence over the spending of the largest development donor in the world. Whilst a UK-EU partnership is no substitute for UK membership of the EU, there are ways which, even without a vote, the UK can still cooperate with the EU to amplify each other’s voice and impact as well as jointly promote their shared values: As likeminded partners, the UK and the EU mostly share a legacy of policy alignment in multilateral fora such as the UN. The majority of EU members are members of NATO, EU member states have collaborated with likeminded non-EU member states at the Human Rights Council (where the EU does not have a formal seat), and the UK could continue to play an active role in those groups as part of a continued burden-sharing arrangement. In the current era of budget cuts and donor fatigue, the pooling of funding via the EU offers possibilities for the UK to continue to work to achieve its development policy objectives, while the EU could also still support UK led initiatives if it chose. This could be via voluntary Trust Funds, which are new pooled funding vehicles with flexibility to provide individual EU members states and third countries the opportunity to ‘buy-in’ to the fund and are worth around 2.3 billion Euros from European Development Fund and EU budgets5. Alternatively, a modality could be developed which allows the UK to ‘pay to play’ so that the UK can contribute to shaping the bloc’s spending priorities in its former colonies (along with the lines of the existing off-budget European Development Fund). The UK has already indicated in a non-paper earlier this year that this is something of interest.6 Even outside the EU funding structures there would continue to be complementarity – i.e. the EU could rely on the UK as a quicker mover in crisis situations. For its part, the UK could also make use of the structures of the EU to complement its own activities – notably accessing the 120 EU Delegations and diplomatic offices in third countries where the UK may not be present, or likewise the dedicated European humanitarian aid field offices in over 40 countries. Further afield, the UK and the EU will need to find agreements to operate in a complementary manner – from coordinating as donors to ensure adequate coverage of different countries and issues to sharing strategies and hosting UK embassies in EU delegations and vice versa. It will be important that the UK is able to cooperate and contribute to EU geographical and thematic development programming in the new long-term EU budget (Multi-Annual Financial Framework) to ensure funding continues to reach priorities the UK has pursued: such as poverty eradication, education and tackling infant mortality. Involving civil society groups in implementing and monitoring funding would achieve twin objectives of ensuring accountability for UK and EU taxpayers’ funding whilst making recipient governments more responsive to their own citizens. If the tone and tactics of the Brexit negotiations are anything to go by, the UK-EU relationship will stand or fall by the extent to which values shared by the UK and EU are at the heart of joint working on external relations. Here there is notable pedigree: the UK and the EU have pursued highly aligned positions together and separately on upholding norms and standards, the importance of human rights and the role of civil society. This has been the case not only as part of EU common positions but also at the UN, the G7 and G20 and the WTO. The UK is a key contributor to EU coordination meetings in Geneva and New York and as part of burden sharing frequently acts as spokesperson for the Union on human rights issues. As one of the EU’s two leading diplomatic powers, the UK has been able to carry EU28 positions on political and security questions at the UN Security Council, together with France (and with the support of EU non-permanent UNSC members). The EU’s 2016 Global Strategy spells out the EU’s commitment to a rules-based international order. This is a position that British strategists – whichever side of the Brexit debate they fall on – should want to hold dear as we enter an increasingly uncertain world where rules are more frequently broken, and norms and standards of conduct set during the Bretton Woods era are increasingly challenged by rising powers, notably China. The EU also has a well-developed global human rights policy8, and in many cases is the key actor in this area, on behalf of its member states. The UK has used this to its advantage, most recently in the case of recent sanctions on Myanmar, where it preferred the EU to take a stronger position than it was prepared to take bilaterally. For many civil society actors as well as third countries, the EU has been traditionally seen as a more ‘honest broker’ than its member states either because of colonial heritage or perceived national interest9: Whereas Russia cut off USAID funding in summer 2012, EU funding for civil society has continued under EIDHR and other programmes. With networks mattering more than ever in foreign policy, the EU27’s combined network reach through EU delegations, together with member states embassies, create multiple nodes in third countries for connecting with civil society groups and transmitting European values. British involvement and engagement with EU counterparts in shaping the principles and norms transmitted by EU diplomatic networks would continue to ensure that shared values, interests and priorities prevail. The UK has also had one of the strongest civil society sectors among EU member states, particularly in the fields of international development and conflict prevention, mediation and peacebuilding. Many of those same players have been active in Brussels in shaping the EU’s external policies and building networks with counterparts from other EU member states. The UK is the largest recipient of EU grants to its CSOs. UK CSOs received 356.9 million Euros in new development and humanitarian funding from the EU in 2016.10 These CSOs are delivering EU policies and programmes at scale and the UK and EU should reach an agreement to allow them to continue to do so. Correspondingly the UK has driven previous EU efforts to offer a ‘partnership with societies’ (such as during the 2012 revised European Neighbourhood Policy following the Arab Spring). Civic participation and civil liberties remain key to British political life and its self-image – one of the reasons the UK, with notable leadership from Winston Churchill, played such a key role in establishing the separate (non-EU) European institutions that have formed the unofficial ‘aquis’ of rights and values underpinning the Union, notably the Council of Europe and the European Convention on Human Rights. For its part, the EU is among the few actors to have elaborated policies for civil society support through several initiatives ranging from the European Endowment for Democracy, to the European Instrument for Democracy and Human Rights. These pursue compatible goals to well-established UK bodies, such as the Westminster Foundation for Democracy and could reach agreements to burden share in future in parts of the world ranging from Eastern Europe to the Southern Mediterranean. By most accounts, the UK is likely to suffer the fall-out from Brexit – at least in the short term – much more than the EU. Yet, the negotiations, currently stuck in zero-sum posturing, would be better served by the UK building bridges in those policy areas like foreign policy and development where there are incentives to cooperate. Instead, the negotiations are dogged by transactionalism – focused on what the UK stands to lose to the EU through any of the scenarios on the table. Yet like transactionalism is at the root of the malaise which has increasingly dominated UK’s approach to relations with other countries since the 1980s be it towards the EU, or in the UK’s relations with bilateral partners (arguably linked to Thatcher’s “rebate” on UK contributions to the EU budget) and lies behind the Brexit decision itself. Whilst the UK foreign policy establishment espoused the European Neighbourhood and Enlargement policies as a means to transform the East normatively, and in effect transform the EU itself along the UK vision of a wider and less deep union, the outlook of Westminster’s political class towards Brussels was and remains very much led by a transactional, quid pro quo approach. This ‘UK Plc’ approach has the effect of restricting the UK’s foreign policy ambition and its presence, by equating a country with a big history and legacy of ideas, to a corporation. There is a question mark over whether the UK can exercise a transformative or agenda-setting role on the global stage if it does not have a mission and a vision beyond security and markets? The insular foundations of the Brexit idea, and the current circularity of the negotiations, already risks diminishing Britain’s ability to shape the thinking of governmental and non-governmental allies on its doorstep. In a multi-polar world, this bodes ill for Global Britain’s ability to project ‘soft power’ of its ideas in cases where its policymakers feel the UK’s norms and values are under attack down the line. With its 65 million people, speaking the world’s (and the EU’s) lingua franca, with thriving cultural industries, leading universities and strong tradition in civil liberties, the UK’s leaders would do well to ensure that Global Britain is truly global, offering global opportunities to its citizens to shape the future beyond the coastline of this relatively small island. This means politicians who are prepared to cultivate and exercise the soft power of aspirational ideas to shape outcomes and policies that are sufficiently ambitious to set standards, rather than merely cutting deals and selling its goods and services at knock-down prices or to the highest bidder. Since values and therefore rules are set to be increasingly contested in a multi-polar world, British people therefore have a strategic interest in ensuring that others think and behave like us, but also that our own standards of living and behaving are not lowered through conceding that norms and standards are being set (and undercut) by the likes of China. The EU is a natural ally, having developed a normative posture on the global stage, one which is most closely aligned to the British thinking, after 40 years of close association. But with its own tendency to focus more narrowly on its interests in its backyard, witnessed by its 2016 Global Strategy, and facing a populist backlash elsewhere within its ranks the EU will also need strong allies to remind it to have an active strategy behind the norms and values it is promoting. With the abdication of global leadership by the US, the UK will have more success via cooperating closely with like-minded EU partners on foreign policy than going it alone. History shows that Britain is at its best as a transformative foreign policy actor and EU partner when it asks more than “What will you give me in return for…?” It should not ignore the power of attraction that the EU continues to exercise. The fact that people risk their lives to enter the EU, and that people in the EU’s neighbourhood would like to be on an Erasmus or attend Bologna-accredited institutions exchange in their own country; find labour in Europe; buy products easily from European countries or go on holiday there cheaply testifies to the EU’s enduring role as a global standards-setter whose citizens enjoy an enviable social contract and a set of rights and freedoms. Continuing to align with these standards – and promoting them globally – should be of interest to British citizens, now that Britain too is set to become a neighbour of the EU. Ensuring that British ‘values’, norms and by extension our way of life can measure up to this gold standard – embodying a better quality of life upheld by democracy, human rights and the rule of law – is essential not only for UK soft power projection, but also for fostering our citizen’s development, which is greatly enhanced through exchange with others. Diplomatic burden-sharing and collaboration at UN levels. The EU and the UK could work together by instituting ‘European friends’ or ‘like-minded’ coordination groups in New York and Geneva in which the UK is systematically included along the lines of existing practices, and as part of a burden-sharing agreement which allows the EU to continue to benefit from UK technical expertise and networks with non-Western States, and enables otherwise stretched UK diplomats to prioritise key dossiers. Joint strategies, deployments and shared resources at the field level. The UK and the EU could work together in selective contexts on both programming and outreach at field level drawing on Memorandums of Understanding. Spelling out the commitment to share and pool resources from an official MoU for joint working in development policy to the deployments of UK staff into EU services, would provide a basis for joint cooperation. Efforts should also be made to ensure that UK and EU aid remains complementary and playing to their relative strengths, through an overarching MoU, or joint strategies and through sharing resources such as field offices where it is complementary to do so. UK observer status in Brussels decision-making. Recognising that the UK’s role in efforts at multilateral level and ad hoc formats – such as Security Council, the E3 (France, Germany, UK) on political and security issues as well as the G7 and HRC and development and human rights and UK peacekeeping – will continue to have a bearing on EU foreign policy formation, the EU and UK should agree a modality to provide for UK ‘observer status’ at EU Foreign Ministerial and working level Council discussions on key areas of collaboration – including on human rights and democratisation. A joint strategic planning committee would be a great confidence building measure to support this. Flexible arrangements to pool funding. It will be important that the UK is able to cooperate and contribute to EU geographical and thematic development programming in the new long-term EU budget (Multi-Annual Financial Framework) to ensure funding continues to reach priorities the UK has pursued as a top donor: such as poverty eradication, education and tackling infant mortality. The EU should ensure its future funding rules allow sufficiently flexibility for the UK to contribute to and shape pooled funding vehicles, such as EU trust funds, or the European Development Fund. The UK and the EU could continue an existing practice of matching UK and EU funds at the programming level on context-specific Joint Actions where appropriate. A continued role for UK civil society as experts and deliver on the EU values agenda. The UK and EU should reach an agreement to allow the UK’s often highly expert, professionalised and effective CSOs to continue to deliver EU policies and programmes at scale in sectors ranging from development assistance and humanitarian aid to conflict prevention, mediation and peacebuilding. For its part, the UK should develop a more proactive strategy to engage its diaspora, including in Brussels, as a part of efforts to ensure ‘Global Britain’ remains connected and networked with partners in Europe. 7 In the past the UK has used the EU to fill strategic gaps in foreign and security engagement in regions such as the Baltics, the Caucasus and Central Asia. An enhanced cooperation on foreign and security policy could enable this burden-sharing arrangement to continue. 9 Though the EU’s stance on trade negotiations with African countries, and more recently its hawkish approach to migration prevention, particularly in the African context, has led many in those countries to view the EU increasingly negatively. Jacqueline Hale is Research Fellow at the Foreign Policy Centre. She is also Save the Children’s Head of EU Advocacy, in which role she leads the organization’s policy and advocacy towards the EU on humanitarian crises, as well as on multilateral processes.